Welcome to Unfiltered, a podcast featuring leaders in the craft beverage industry sharing their stories and providing a behind-the-scenes look at what they do. 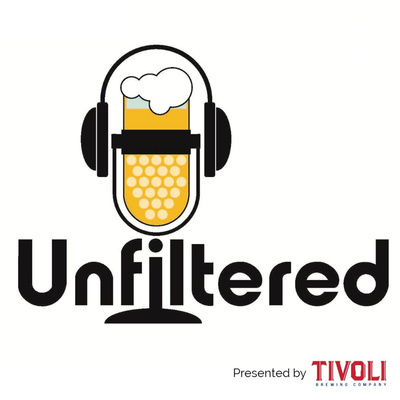 Hosted by Dr. Samuel Jay and Jay Schrader and presented by Tivoli Brewing Company, Unfiltered is your go-to podcast for everything craft. With open arms, Sam and Jay welcome Andy Joynt (head brewer) and Matt Swift (owner) from Iowa's Big Grove Brewery. In town for the Craft Brewers Conference, Andy and Matt drop by Tivoli Brewing Company for a few pints and some conversation about Iowa's craft beer scene, growing hops in the Midwest, and a shared disdain for Nebraska. Sam and Jay head out to Golden, Colorado to sit down with Karen Hertz, founder and owner of Holidaily Brewing Company. While drinking gluten-free beer that actually tastes like beer, the three unpack Karen's story and discuss what's next for one of the fastest-growing breweries in Colorado. Sam heads out to Seattle to talk with Matt Lincecum, co-owner and co-founder of Fremont Brewing. Sam and Jay chat saké with Billy Stewart, co-owner of Denver's Colorado Sake Co.
Sam and Jay welcome baseball expert and beer aficionado Eno Sarris to the show to talk about ballparks with the best craft beer selection, potential MLB rule changes, and his move to The Athletic. Sam and Jay sit down with Andy Sparhawk, the Brewers Association's Web Manager, to talk about craft beer in Colorado and beyond, the future of the industry, and much more. Sam and Jay head to Black Shirt Brewing to talk distribution, German gose, and old Denver mansions with Head Brewer, David Sakolsky, and Director of Communications, Meghan Howes. Sam heads to Aspen, Colorado to talk shop with Aspen Brewing Company's founder, Duncan Clauss. Sam and Jay drink hard liquor with Jay Johnson from Bear Creek Distillery. No additional information is needed. Sam and Jay sit down with Taylor Rees and Darren Boyd from Spangalang Brewery in Denver to talk about experimental brewing, Denver's jazz scene, and more. Sam and Jay have beers and talk brand with Jason zumBrunnen, brewer and co-founder over at Ratio Beerworks in Denver. Sam and Jay sit down with Nate Nicklas, Director of Brewing Operations at Tivoli Brewing Company in Denver to talk about style trends, canning, and the science of making a refreshing lager.